Everlasting Gobstoppers are a favorite among kids! These fun mini-jawbreaker candies change both color and flavor as you eat them. With Gobstoppers in bulk, you’ll have enough small individual packs for parties, piñatas and more. 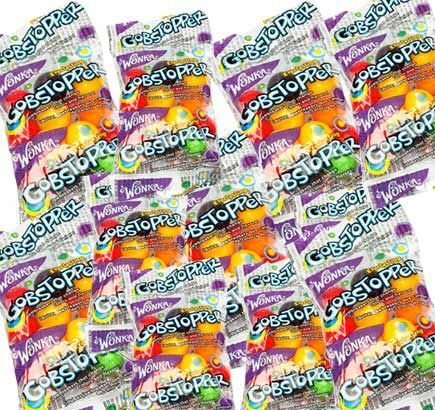 Each on-the-go package includes 10 Gobstoppers with layer upon layer of colors and flavors. For a party favor that’s colorful, sweet and everlasting, go with Gobstoppers in bulk!